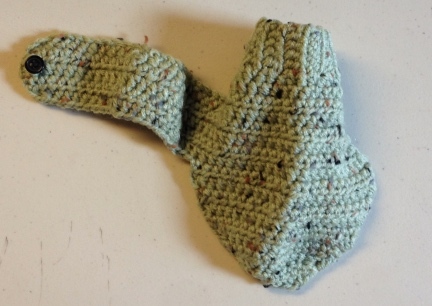 The little Sweater is adjustable with the little button on the belly band. 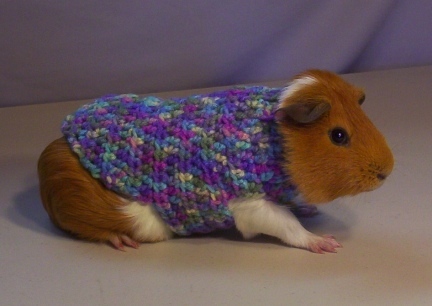 I send information on how to teach your little pets to wear clothing with each order or clothing. The waist measurement on this Sweater is adjustable, as I said before, and it does have a bit of stretch in it, and the Sweater is approx 6.5" from neck to tail. 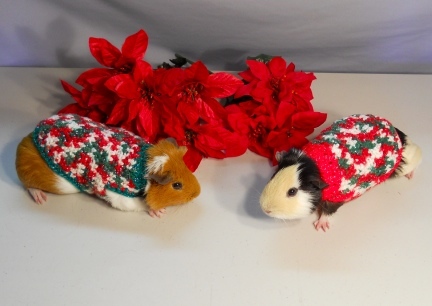 THIS PARTICULAR GUINEA PIG SWEATER IS MADE FOR A SMALLER SIZED GUINEA PIG. This smaller item has a smaller shipping charge of $2.57 to the USA when shipped with similar items. Your shopping cart will show your shipping costs and total based on the items in it.